Our stylish Executive Leather Business Card Holder says success in a bold and beautiful way. This unique business card holder is designed with a polished silver metal base and supports a leatherette backing that is adorned with white detailed stitching. The backing comes in your choice of blue or red leatherette. 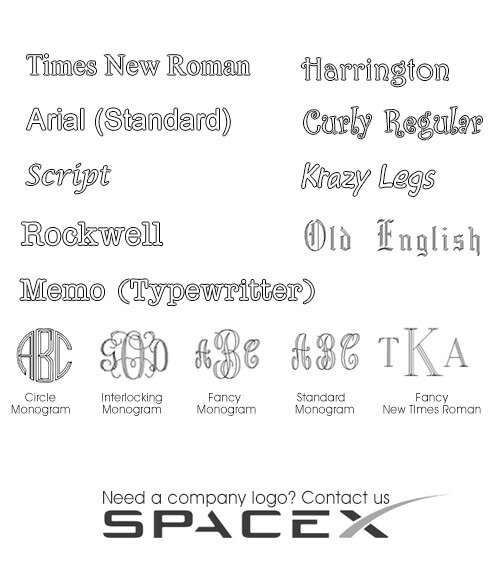 Have the base personalized in different font styles for free to give it that extra special personal touch. Every desk will look more distinguished with one of these Executive Leather Business Card Holders proudly displayed on it. Really set your professional apart by giving them one of these elegant business card holders. Surprise her when she gets that new job title or promotion and have a congratulatory comment engraved on it. Show your son or daughter how proud you are when they land their first job and give them one of these professional business card holders. Whether on the go or in the office, they will be able to keep track of all of their information easily and elegantly. Every person who spends hours behind a desk will appreciate the fine look of the Executive Leather Business Card Holder. Its creative design is not only stunning to look at, but inspires conversation as well. 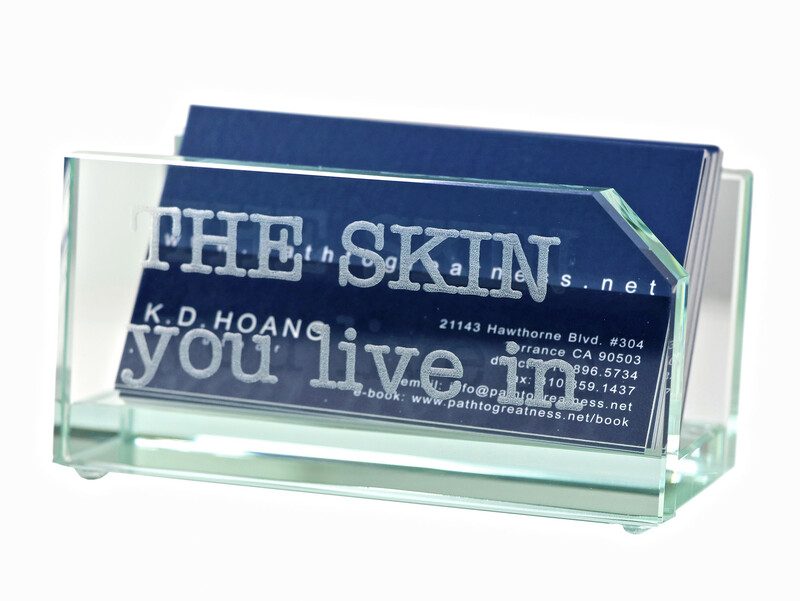 Let your loved one proudly display this business card holder on their desk. They will be thinking of you all day while they work away the hours on their computer. Our Executive Leather Business Card Holder is the perfect give for employees or team members. 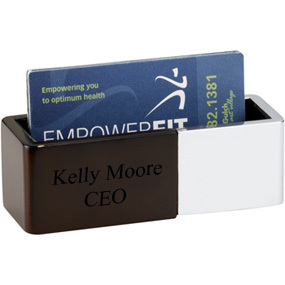 Recognize the star players in your office by giving them a personalized business card holder. Thank those overachievers with one of these distinguished business card holders. Let everyone who makes your business a success know just how much you value them by giving each of them their very own Executive Leather Business Card Holder.